JNUEE Previous Question Paper 2019: JNUEE is one of the most versatile entrance exams. It offers various courses and various fields. The Exam Authority releases the JNUEE Previous Year Question Papers on their official website. Candidates have to follow the link and then the provided steps to download the Papers. JNUEE Previous Year Question Papers will be really helpful because with it you can observe the changes, Pattern, weightage, Marking scheme, and time required to solve each type of question and then you can work on it to improve your efficiency and speed. As we already mentioned, the official Authority releases the Question Papers of last year, so why you are wandering here and there to download them. Just follow the link and then all the steps to download the JNUEEE Previous Question Papers. We are providing steps to download JNUEE Previous Year Question Papers with Solution. You can download these Papers and start practicing it. Go to the above link. There will be 4 Drop Down menus in the middle of the Page, entitled as: Select year, Select Program, Select School, Select School, and Select Study Code. Now Select Year, the available option will be 2018, 2017, 2016, 2015. Select any one of them. Now after it select Program. And School. After it, select your School and Study cade. After it, The JNUEE Previous Year Question Paper pdf will be provided automatically, just below the form. Now for another year, follow the same procedure. 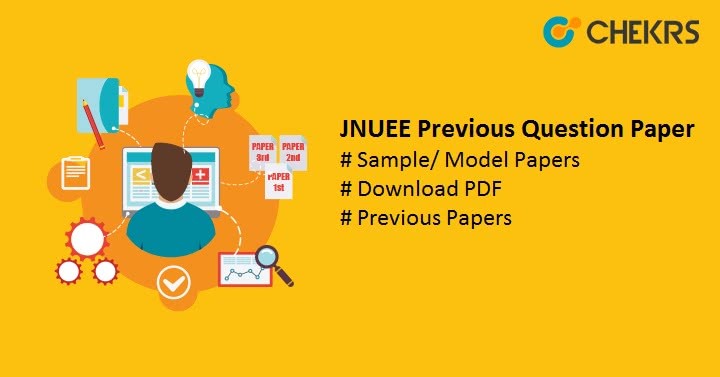 How JNUEE Previous Paper 2019 will help you to Prepare Better? Divide your time for each part of JNUEE Syllabus. You can make your own notes and use chart papers and a diagram to remember things better. After completing the syllabus, Solve JNUEE Previous Year Question Papers 2019. While Solving the Papers, observe the Questions which are taking more time, also check response. If you are doing mistakes or having the wrong response in the papers, Mark the topics. Now prepare these topics again. Also, don’t forget to do the regular revision. That’s it guys for today. Make sure to prepare well for the exam and cover complete article. Also, care about your health and take proper rest. Keep visiting. Good Luck.